35cl. 10 year old. 40% Proof. This product is also available as a miniature. 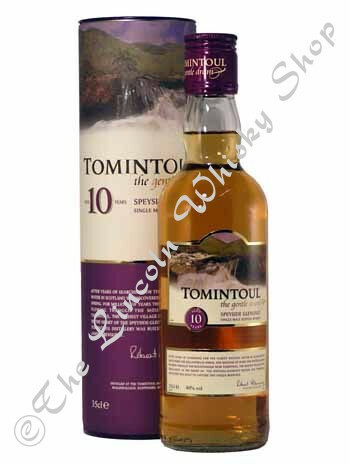 Tomintoul is the lightest of its contemporaries but has a little more body than its neighbour, Tamnavulin. The nose gives lemongrass & orange-water. A friendly, fruity malt.